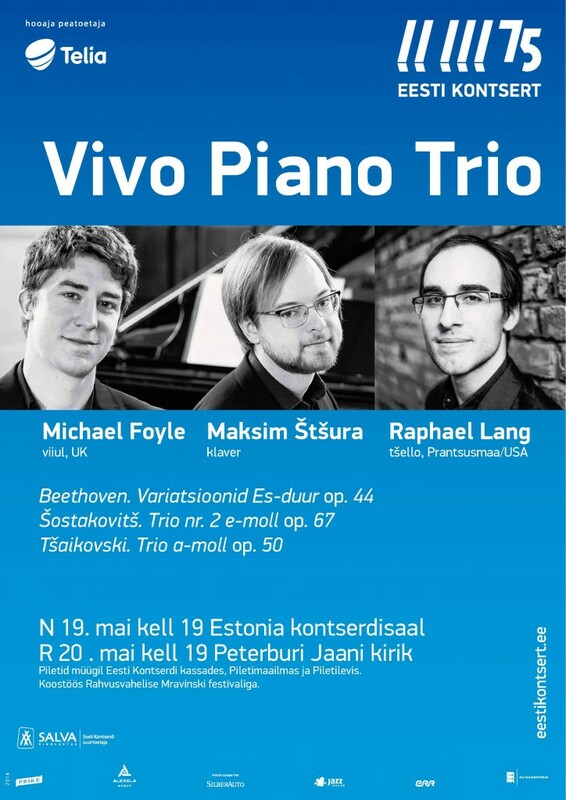 Foyle-Štšura Duo will be joined by acclaimed cellist Raphael Lang in an upcoming tour of Estonia and Russia. Excited about performances in Estonia Concert Hall in Tallinn and St John’s Church in St Petersburg. To mark the 110the anniversary of the great Russian composer Dmitry Shostakovich, the group will perform his Piano Trio No. 2 in E minor, written in memory of a dear friend and important cultural figure Ivan Sollertinsky in the midst of World War II. Commemorating another great artist, Nikolai Rubinstein, is the monumental A minor Piano Trio by Pyotr Tchaikovsky, his only work in this genre and one of his most sincere and tragic musical statements.